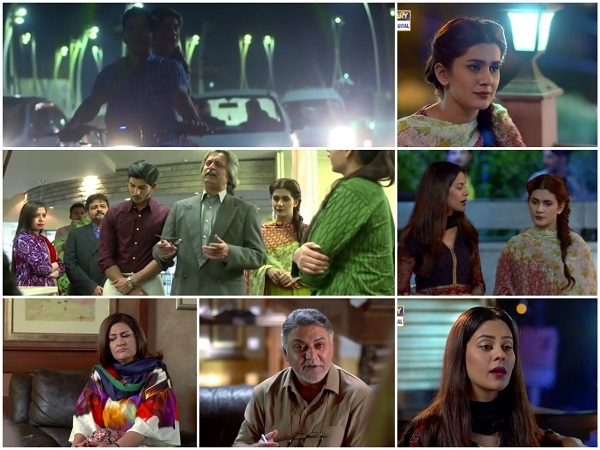 Muqabil Episode 16 Review – Getting Closer or Further Away? Mohsin Abbas Haider and Kubra Khan’s on screen chemistry saved the day today because this episode as a whole did not have a lot to offer. The fact that these two stars can make all their scenes a treat to watch makes them one of the best on-screen couples of recent times. The ‘misunderstanding’ which got a lot of screen time tonight did not serve any purpose because it was quite apparent that Arman was only making up stories to make Pareesa jealous and the way Arman was introduced to the staff in the office was my least favorite part of this episode. Arman and Zara’s meeting made absolutely no sense, it was just as confusing in this episode as it was in the promo! The only reason why this track was slightly relevant was that Pareesa for the first time acknowledged that she needed Arman in her life and it wasn’t as easy for her to let him go as she pretended it would be. Had Arman and Zara’s scene not been shown it would have been easier to relate to what we saw today. Arman is after all human and he can’t always be understanding, there will be times when he will do things to upset Pareesa too or perhaps to get her attention but most of what we saw tonight wasn’t interesting because it looked too staged. I truly appreciate a lot of aspects of the story but one aspect I appreciate more than anything else is that for a change someone who isn’t rich or accomplished is being shown in the lead role and in a good light. Usually the hero of our dramas have certain traits and being affluent passes as one of those traits because of which the leading man is more attractive or charming. Arman is not rich and he is more ordinary than anything else yet he is charming, something which has always been the most appealing aspect of this drama. When Pareesa mentioned the fact that money is not important and her father introduced Arman as the ghareeb naujawan who won the heart of his princess it killed the subtlety and beauty with which this message was being put forward through this drama for the past 13 weeks. The message that a knight in the shining armor can also be an ordinary man who is not perfect was a wonderful message and one which did not need to be spelled out! In this episode Arman yet again went against his wishes and did something he vowed he would never do only to please Pareesa. The change in Arman’s personality in these past few episodes especially ever since he found out the truth has been my most favorite part of the drama. Also, the gradual change in Shehnaz’s outlook towards life and what matters to her most has also been shown in a subtle manner in the past few episodes. There was a time when publicity meant more to her than anything else but now she does more to ensure that her daughter stays happy than she ever did before. This episode like all the other episodes of Muqabil had some very interesting dialogues. The preview of the next episode suggested that Pareesa’s father finally managed to get Arman drunk! I must say I am not looking forward to Arman playing more mind games with Pareesa! Arman’s character is one of the best aspects of this drama therefore I hope he continues being sensitive and sensible. Muqabil has been right on point for the past 15 weeks, I hope that it continues to be equally interesting in the future too.